Eric Arthur Blair (25 June 1903 – 21 January 1950), better known by his pen name George Orwell, was an English author. His work is marked by a profound consciousness of social injustice, an intense opposition to totalitarianism, a passion for clarity in language and a belief in democratic socialism. Considered "perhaps the 20th century's best chronicler of English culture," he wrote works in many different genres including novels, essays, polemic journalism, literary reviews, and poetry. His most famous works are the satirical novel Animal Farm (1945) and the dystopian novel Nineteen Eighty-Four (1949). Animal Farm is a dystopian novel by George Orwell. Published in England on 17 August 1945, the book reflects events leading up to and during the Stalin era before World War II. 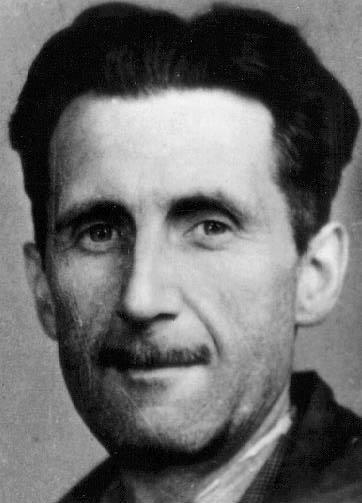 Orwell, a democratic socialist and a member of the Independent Labour Party for many years, was a critic of Joseph Stalin and was suspicious of Moscow-directed Stalinism after his experiences with the NKVD during the Spanish Civil War. 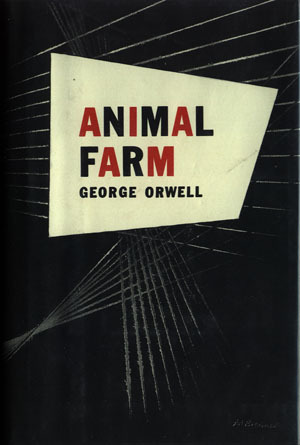 In a letter to Yvonne Davet, Orwell described Animal Farm as his novel "contre Stalin". The original title was Animal Farm: A Fairy Story, but A Fairy Story was dropped by the US publishers for its 1946 publication. Of all the translations during Orwell's lifetime, only Telugu kept the original title. Other variations in the title include: A Satire and A Contemporary Satire. Orwell suggested for the French translation the title Union des républiques socialistes animales, recalling the French name of the Soviet Union, Union des républiques socialistes soviétiques, and which abbreviates URSA, which means "bear" in Latin. Time Magazine chose the book as one of the 100 best English-language novels (1923 to 2005), at number 31 on the Modern Library List of Best 20th-Century Novels. It won a Retrospective Hugo Award in 1996 and is also included in the Great Books of the Western World. 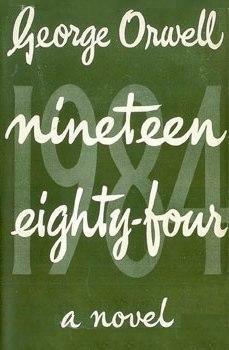 Nineteen Eighty-Four (sometimes abbreviated to 1984) is a classic dystopian novel by English author George Orwell. Published in 1949, it is set in the eponymous year and focuses on a repressive, totalitarian regime. Orwell elaborates on how a massive Oligarchial Collectivist society such as the one decribed in Nineteen Eighty-Four would be able to repress any long lived dissent. The story follows the life of one seemingly insignificant man, Winston Smith, a civil servant assigned the task of perpetuating the regime's propaganda by falsifying records and political literature. Smith grows disillusioned with his meager existence and so begins a rebellion against the system that leads to his arrest and torture. The novel has become famous for its portrayal of pervasive government surveillance and control, and government's increasing encroachment on the rights of the individual. Since its publication, many of its terms and concepts, such as "Big Brother", "doublethink", and "Newspeak" have entered the popular vernacular. The word "Orwellian" itself has come to refer to anything reminiscent of the book's fictional regime.